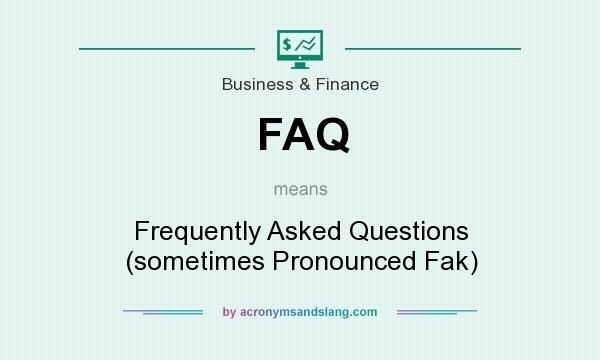 FAQ stands for "Frequently Asked Questions (sometimes Pronounced Fak)"
How to abbreviate "Frequently Asked Questions (sometimes Pronounced Fak)"? What is the meaning of FAQ abbreviation? The meaning of FAQ abbreviation is "Frequently Asked Questions (sometimes Pronounced Fak)"
FAQ as abbreviation means "Frequently Asked Questions (sometimes Pronounced Fak)"